Ideal Body Weight Calculator: How Much Should You Weigh? Do you know what your ideal body weight is for a person of your height, frame size, and gender? Use this friendly calculator to figure out what your optimal weight is. To identify your frame size use a measuring tape and the height chart below. Knowing your ideal body weight is a good first step to take before you start macro counting or flexible dieting. This helps you to have realistic expectations and to establish a healthy goal weight. Allows you to set realistic weight loss goals. Prevents the thinking that weight loss is necessary when it isn’t. Gives you a baseline to use for building muscle. Helps with maintaining a healthy weight for your height. Shows you a goal to strive for if you are underweight. 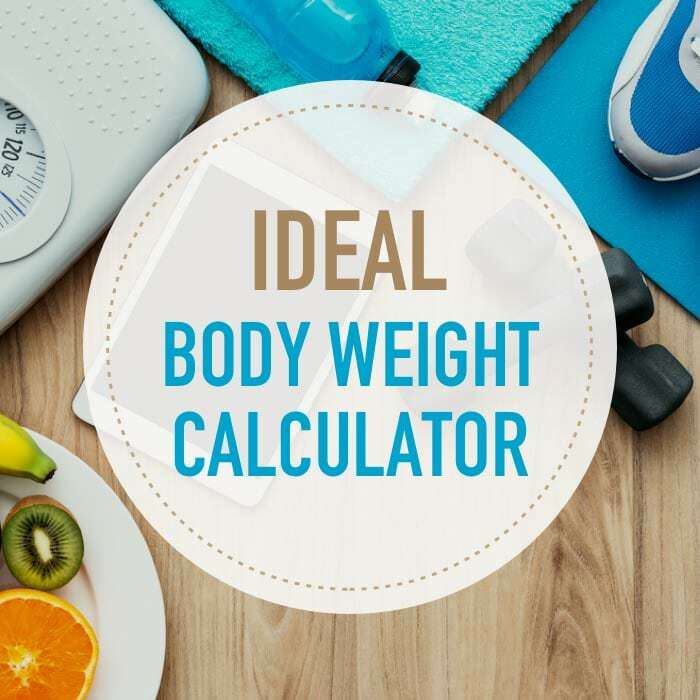 Other ideal body weight calculators don’t factor for frame size and this is an important factor in determining an ideal body weight for a person of your height. The term frame size refers to the mass of your skeletal structure. Those with more bone mass will weigh more than people with less bone mass who are of similar height. However, this isn’t factoring for bone density. A 5’6″ woman who has a large frame size should weigh between 139-143 pounds, whereas a 5’6″ woman with a small frame should weigh 124-128. This feature is why our ideal body weight calculator provides the most accurate results possible and paints a more realistic picture of what your ideal body weight should be. While these formulas can’t account for all individual differences that may contribute to a person’s optimal weight, they do provide a good estimate of what’s ideal for a person of your height. Once you have determined a body weight that is in the ideal range for you personally, you can use that information to establish a body transformation goal that’s appropriate. You can then use our TDEE and macro calculator to determine how much you need to eat in order to achieve that goal. 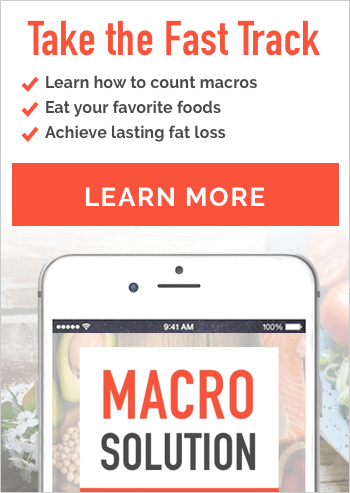 This calculator uses the flexible dieting approach that doesn’t prohibit foods or certain ingredients but allows you to eat what you love as long as they fit your prescribed set of macros. Hi Daniel, Please see our Macro calculator here. I weigh in at 189 and I am only 5’3″. This seems heavy but I wear a size 8-10 in pants and a medium size in tops. This tells me that my ideal weight should be between 119 and 123, which would make me look too skinny. I work out 5 days a week 2 days doing just cardio and 3 days lifting weights (mixed with cardio). When I got down to 169-165 I was in about a size 6. If I lost another 40 pounds after that I would be a size 0. Hi Kate, I totally agree that this isn’t gospel and people can diverge from these results and still be healthy. But also keep in mind that clothing sizes have changed over the years to compensate for the changing population. A “medium” isn’t the same size it was 20 years ago etc… So using clothing size to determine your state of fitness isn’t a good scientific way to measure fitness. Just food for thought. I’m an illustrator and cartoonist and am wondering how effective this calculator will be for me. I’m trying to calculate accurate weights for my male and female characters, but, since these aren’t “real” people, all I have to go by is their heights, general builds, and measurements. For instance, one is a 5′ tall female, fit, athletic build (she’s a mechanic), 36″ B cup (at most) chest, 23″ waist, 38″ hips. I dont know the accuracy of this, but this is the first time ive seen a realistic calculation for what my weight should be. I average 215 on a relatively sedentary lifestyle and when i eat more unhealthy than usual but when i diet and exercise more heavily, i hit a wall around 190. Most doctors/calculators say 145-154 for me. I have a large frame at 6′. I look like skeletor at 150. The frame size calculations are bananas. With measuring tape I’m a “large” and by finger wrapping standards I’m small or maybe medium. Judging myself against other adult women, I would qualify myself as the smaller edge of medium to a solid medium. This calculator cannot be correct. I am under my ideal weight according to this. When i was in my ideal weight range I felt like crap and couldn’t see any muscle definition in any part of my body. I hope no body looks at this as accurate. Hi Kevin, With all calculators like this, they provide an estimate based on the average population. There are always outliers to such data sets. Because the calculator doesn’t hold true for you personally, it doesn’t mean that it wrong for everyone. For me personally, it’s pretty accurate.